How many 6,7,8 or 9 year olds will do it? NONE! How many older pre teens will do it? Perhaps a few more. How many teens will do it? Even a few more. And as you get older consistently more and more will do it. Brain growth and development hinges on environmental experiences (i.e. our upbringing, schooling and friends) and physiological changes. It is the physiological differences between children and adults that are crucial for us, as coaches, to understand. 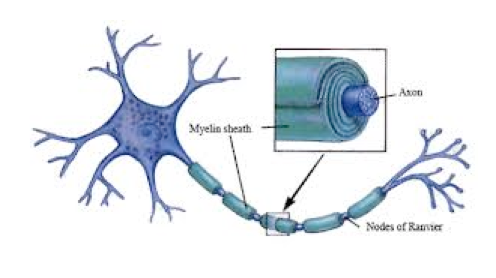 Surrounding nerve fiber is a form of insulation called a myelin sheath. This sheath from insulation which prevents these fibers from “shorting out” thus permitting the transmission of a biophysical nerve impulse. If a portion of the brain is not myelinized, that portion will not function. An infant cannot walk until that portion of the motor cortex dealing with walking is myelinized. No amount of exercise, occupational therapy, coaching, bribery, coercion or rewards will enable that child to move or walk sooner. How does this relate to us as coaches? Simple. A common coaching mistake is to consider kids little adults and treat them as such. Obviously this will not work! As an adult I will pick something up at a coaching course then immediately try it in my game. I will keep trying it until I have learned it. I do not need someone standing over me harping on whatever it is. I am capable of intellectualizing the information and acting on it. On my high school team, I will work on a technique or stratagem for four or five practices. If I am lucky the kids will use it for fifteen minutes during the first half of the game; then 10 minutes (if I remind them at half-time) in the second half. The coach of an under 10 team would be lucky if his players tried it once. As coaches we must recognize that physiologically the child is still developing both physically and mentally. His learning processes are different than an adult’s. The youngster cannot and will not intellectualize techniques and tactics. To achieve success we must deal with creating a desire to learn. If the child has a desire to learn then he will repeatedly do the new technique and eventually create muscle memory; i.e. he will have learned something. Chalk talks are essentially useless. First, no self-respecting child will listen to an adult for more than fifteen (15) seconds. Secondly, the child’s auditory processing to memory connections just aren’t there (i.e., they won’t remember). Until the brain has adequately matured physiologically, verbal data does not compute. So, how do we coach/teach a child? Talk briefly; demonstrate (Show & Tell); then have fun games or 1v1 games in which the new technique or tactic will create success. Be positive and repeat the skill throughout the session creating muscle memory. To achieve success the players must enjoy being successful. When it comes to scoring soccer goals, kids enjoy seeing and playing, not listening and standing. Yes, I use the “FUNdamental 9-Steps Practice” because “IT” works. The more kids play soccer, the more the muscles will remember. It’s like riding a bike. Do you remember learning to ride a bike? Did you have a coach or paid trainer? Did your parent’s give you bike riding lessons? Did your parents make you learn to ride? Were you lectured on techniques? Were you lectured on bike riding laws? Or did they provide you with the tools and then give you the opportunity to experiment your way to success? by Len Marks, Pediatric MD. Thank you for taking the time to read this article and Sharing it with your soccer community. Producer – highly acclaimed ‘FUNdamental SOCCER -Practice’ DVD.